Home World Heaven Is A Fairy Story For People Afraid Of The Dark? Heaven Is A Fairy Story For People Afraid Of The Dark? Interesting philosphy indeed - is he angry at God for life's physical challenges? Or is he just an atheist looking to p**s some people off? 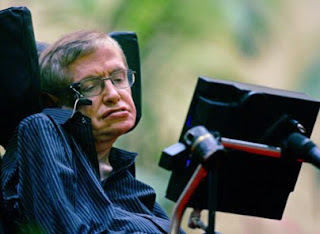 The reknowned theoretical physicist, 69-year old Stephen Hawking has no time for heaven in his vision of the universe. He recently spoke to the The Guardian newspaper, and said that the human brain is a like a computer "that will stop working when its components fail". He continued on to say that, "There is no heaven or afterlife for broken-down computers; that is a fairy story for people afraid of the dark." 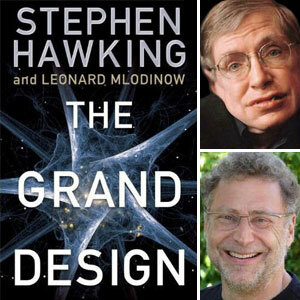 Last year, Hawking published a book with Leonard Mlodinow, titled "In Grand Design", in which he declared that it was "not necessary to invoke God... to get the universe going". Hawking, who is nearly completely paralyzed by motor neurone disease, says that he is not afraid of death, but "I'm in no hurry to die. I have so much I want to do first." To use Stephen's analogy: If someone were to tell you that your computer evolved (not just in small ways) would you believe them? Even given billions of years you would see that intelligence was behind it. And yet, the human brain and all of nature's processes continue to elude even the most intelligent brains in existence and Stephen believes that no one designed it? Sadly it was shared that the most intelligent would not recognize what they see. For example Jesus said, "I thank you, Father, Lord of heaven and earth, that you hide these things from the wise and understanding, and revealed them to infants." Stephen's heart is hard and that is sad. I'm not afraid of the dark I'm afraid for the self blinded.